Excited Woman Wearing Vr Helmet For Space Simulation And Digital Gaming Into Her Head. The Future Is Coming For Virtual Reality Flat Vector Illustration Of Innovation Hi-tech Equipment And Users. Lizenzfrei Nutzbare Vektorgrafiken, Clip Arts, Illustrationen. Image 102559770. Standard-Bild - Excited woman wearing vr helmet for space simulation and digital gaming into her head. The future is coming for virtual reality flat vector illustration of innovation hi-tech equipment and users. Excited woman wearing vr helmet for space simulation and digital gaming into her head. 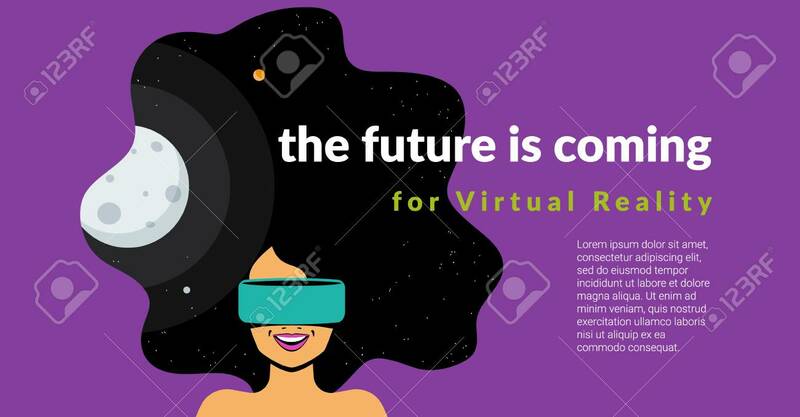 The future is coming for virtual reality flat vector illustration of innovation hi-tech equipment and users.